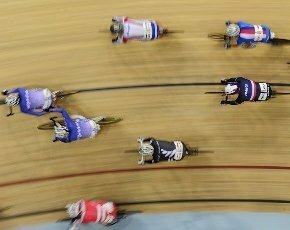 The UK arm of print solutions specialist Brother has been named by British Cycling as its official provider of print solutions for the UCI Track Cycling World Cup, underway in Manchester between 1 and 3 November. The deal means Brother will provide results, communiqués and other information to the team personnel, officials and staff of the event throughout each session of racing. Phil Jones, Brother UK MD, said: “With such an important international sporting event being held right here on our doorstep in Manchester, it was logical that we partner with the UCI Track Cycling World Cup, to provide the mission critical print technology they require. UCI Track Cycling World Cup Manchester event director Jonny Clay added: “Partnering with Brother gives us the very best technology to support the smooth delivery of this event. British Cycling’s hopes for the event are naturally riding high, with key riders such as Laura Trott and Victoria Williams both confident ahead of their events, while the men’s team sprint squad looks to maintain its dominance following the departure of Chris Hoy.